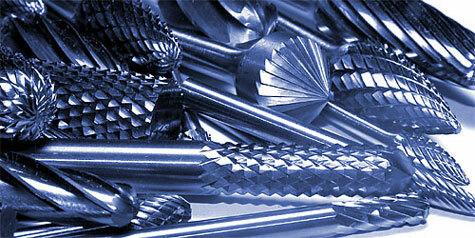 Brooke Cutting Tools USA, stocks the following Cylindrical Shape Burs in our Greer, South Carolina facility. For more information, please do not hesitate to contact us or call 800-621-4274. For more information, please do not hesitate to contact us or call 800-621-4274. 6 mm shanks are supplied standard unless ordered otherwise. 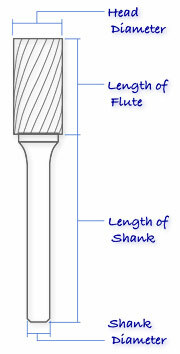 8mm shanks are recommended on all Burs larger than 12mm diameter.